WITTMAN, William. 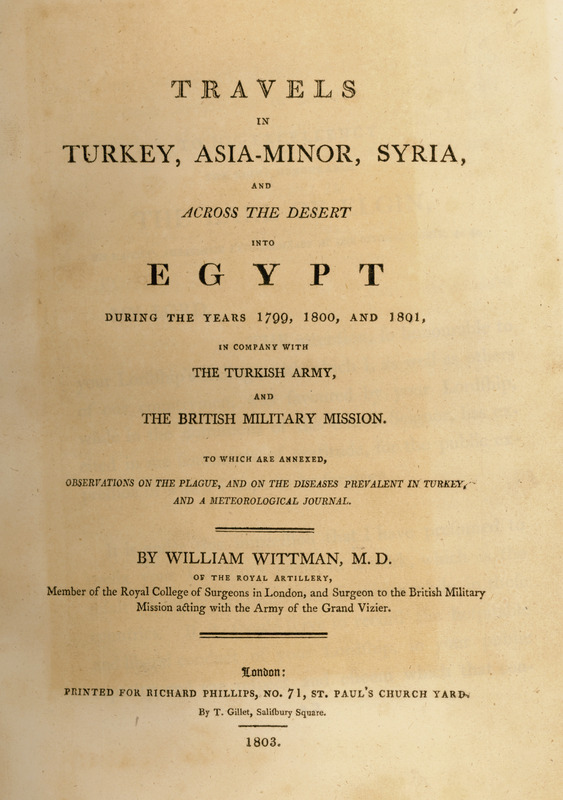 Travels in Turkey, Asia-Minor, Syria, and across the desert into Egypt during the years 1799, 1800, and 1801, in company with the Turkish Army, and the British Military Mission..., London, T. Gillet for Richard Phillips, 1803. WITTMAN, William. Travels in Turkey, Asia-Minor, Syria, and across the Desert into Egypt during the years 1799, 1800, and 1801, in Company with the Turkish Army, and the British Military Mission... London, T. Gillet for Richard Phillips, 1803.